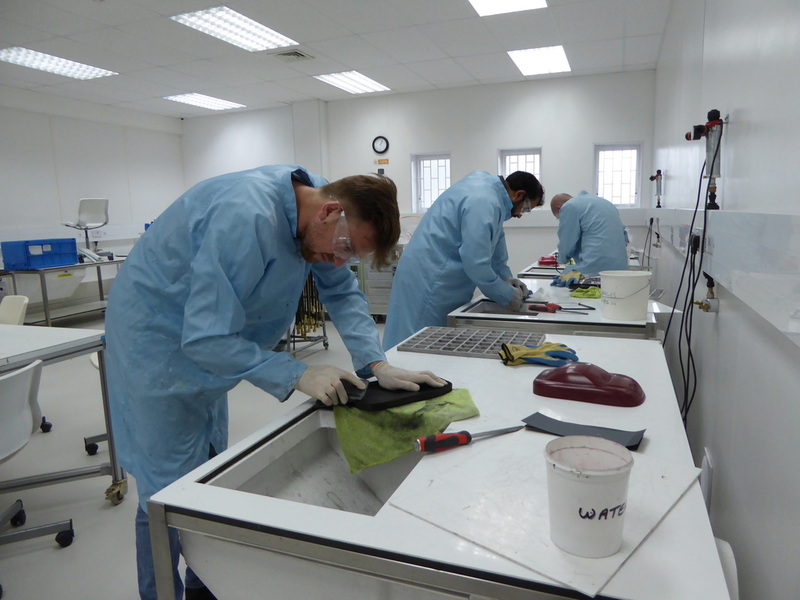 This is our most intensive and in-depth course covering current composite materials and processes. It provides an honest and open insight into working with composite materials. The sessions are informative, interactive and thought provoking. The key focus is on component design principles, production considerations and controls to form an intuitive and creative approach to composite engineering. This is a high end course and delegates will need to have a sound technical background in materials, engineering or design, or have relevant experience, please call or email us if you are unsure which course is best for you. Although no previous composites experience is required for this course you will need to have a sound technical background in materials, engineering or design, or have relevant experience. Understanding and applying the design principles for the various composites materials and processes is the primary focus on this course. The course will give you an intensive and technical overview whilst providing an intuitive approach to composites that forms a strong foundation to develop from. During the theory sessions we will introduce the manual composites processing methods starting with wet lay-up, then infusion and finally pre-preg. We look at how wet lay-up is used and the characteristics of the process. You will then be given a design brief and supplied with materials. Your task is to meet the specification and make the part applying what you understand of the materials. These parts are laid up by hand with brushes and rollers to wet out and consolidate the materials. After this we move onto a resin infusion task. Following the theory session, you will work in groups to produce a trial panel using the flow infusion method. Each group will work with different external infusion media and either stitched, bonded or woven fabrics. The results from the trial panel are discussed and used to design an infusion strategy for the final component. The final process you will use is pre-preg laminating. This encompasses a new range of skills and builds on from the theory of the previous composite processes. We will look at the importance of pre-preg material handling and preparation which includes defrosting, producing templates, nesting, kitting materials and ply orientation. At this stage composite sandwich structures are introduced adding an additional range of properties to consider in the design of another part. These parts are envelope bagged and cured in an autoclave. Curing theory allows you to programme your own autoclave cure cycle. Interpreting information from the technical data sheet you will be able to produce a suitable heat and temperature cure profile, allowing for a glass transition temperature (Tg) for in service use. Automated processes are covered in the classroom with the aid of videos and theory. Each process; resin transfer moulding, hot press moulding, filament winding, pultrusion, automated tape laying and automated fibre placement is explained highlighting their applications, limitations and advantages. The components that have been produced are broken out of the moulds, trimmed and inspected. As a group you will discuss the components to fully understand where mistakes have been made, and how they could have been prevented. From basic manufacturing defects to design errors, this session brings together the work covered so far. 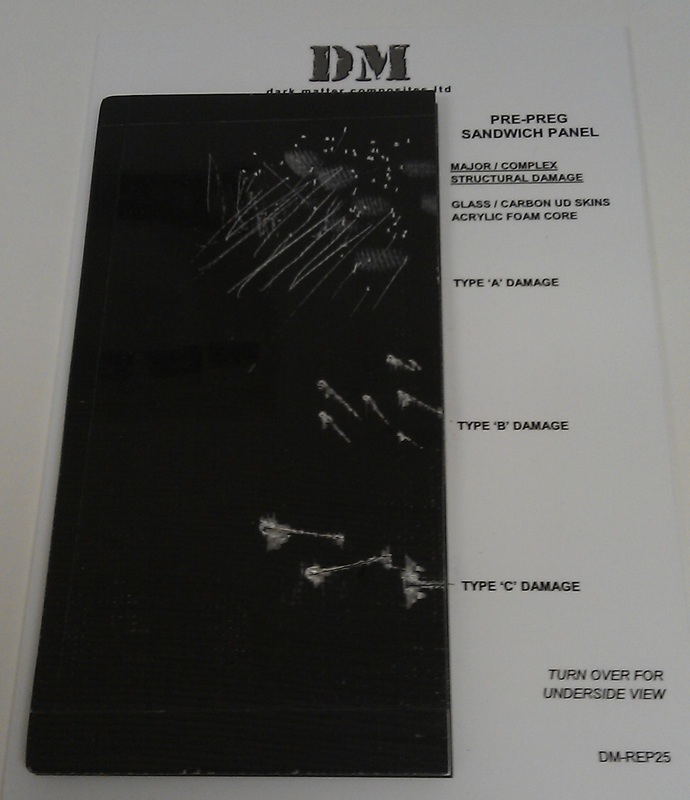 We move onto failure modes and repair techniques, gain an understanding of the types of damage composite components suffer and introduce controlled damage into parts. The damaged material is removed and a scarf repair is used to make good the impaired area. The final day of the course brings together all of the principles covered in the week, in relation to the design of composite tooling and parts, using case studies to demonstrate the concepts used in composite design. This course will accelerate anyone’s knowledge and understanding of composites and will aid in technical communication in the composites arena.